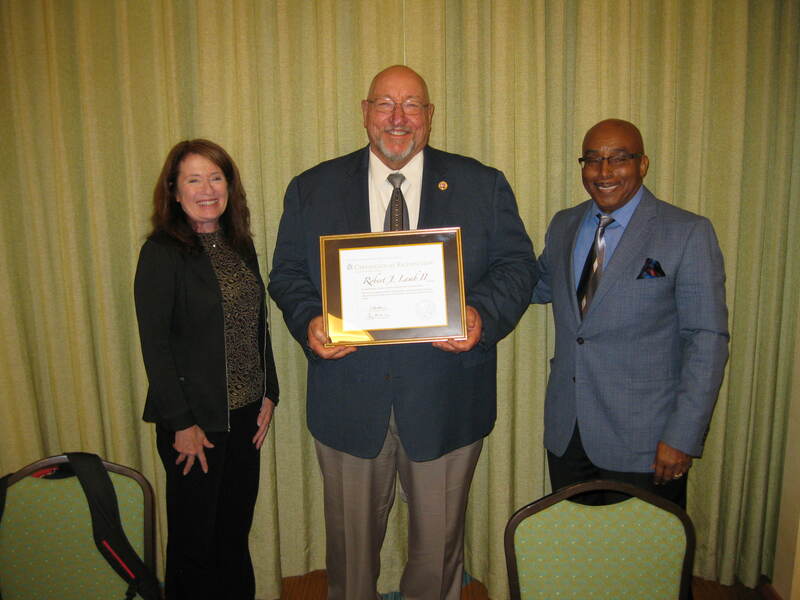 Longtime CSLB Board member Robert Lamb of Cypress said farewell to his colleagues of the last 10 years at his final official meeting June 23-24 in Garden Grove. Mr. Lamb started his Board service in May 2006, appointed by then-Assembly Speaker Fabian Nunez. He was reappointed by then-Assembly Speaker Karen Bass to a full four-year term in 2008, and reappointed again in 2012 by then-Assembly Speaker John Perez. Mr. Lamb, a certified plumber and pipefitter by trade, was a model of dedication and involvement during his decade of public service. He spent four years in Board leadership positions, serving as Board Chair in 2011-12, as well as Vice Chair and Secretary at other intervals. In addition, Mr. Lamb chaired three other Board committees, and handled a variety of assignments on behalf of CSLB, and was most proud when lauding the work of others in the organization. He also was known for his sense of humor and was quick to lighten the moment with a joke or a quip, often at his own expense. A replacement on the Board has not been named by the state Assembly.